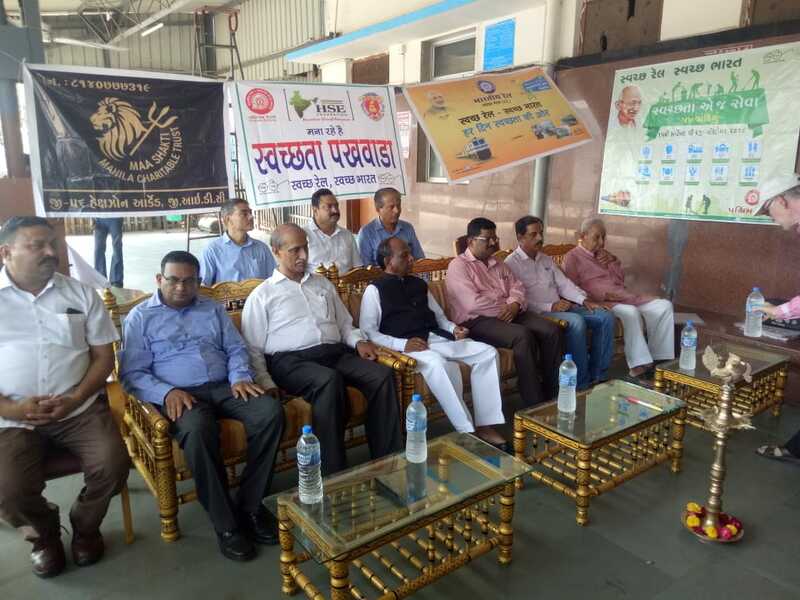 Western Railway Vadodara division organised various programmes to commemorate 150th Anniversary year celebration of Mahathma Gandhi. Programmes were organised at places, stations falling under Vadodara Division. 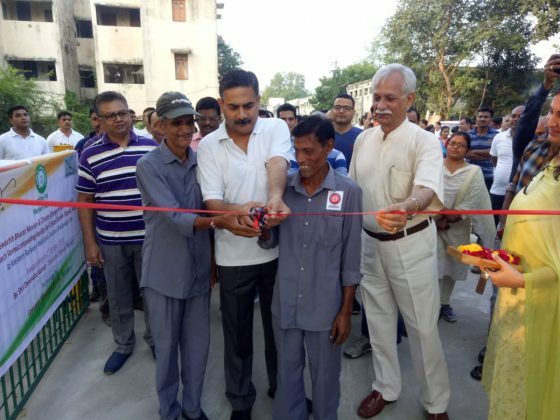 The programmes started with Inaguration of Vermi composting plant at Pratap Nagar Railway Colony, Pratap Nagar followed by Sarv Dharm prarthana Sabha Organised at BRCP PF-1, DRM Vadodara. Around 400 persons consists of Officers, staff and members of Scouts and Guides participated in the event. 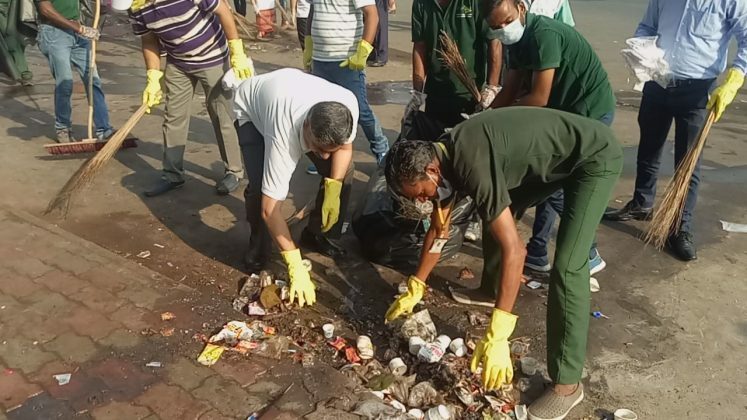 After that the Scouts and guides volunteers of Vadodara organised awareness Rally at Vadodara station and Shramdaan activity was done at BRCP By officers, staffs, volunteers of North-East student union Vadodara. In the fifth activity volunteers of Sant Nirankari charitable Foundation did shramdaan and awareness programme at Vadodara station platforms from 8 to 12 hours. 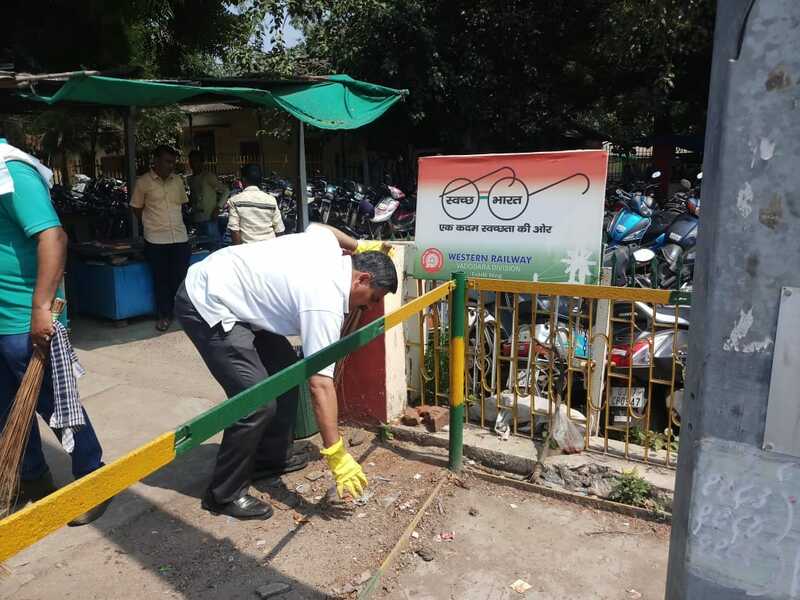 It followed by Swachhta shram daan activity done by staffs of Goods Running Room BRCP, Lobby of BRCP, Running Room BRCP and Godhra Lobby. Mission Satyanishtha live telecast displayed in concourse hall of Vadodara Railway Station, Nadiad railway station and Electric Loco Shed Vadodara. 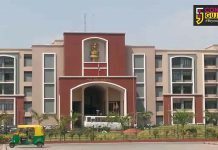 In other programme digital display was done at Vadodara railway station, Nadiad railway station through large LCD screens, projector screens on which Gandhiji’s message and awareness movie release by Western Railway was played. Volunteers of NGO passenger Association did awareness program Nukkad Natak and donated 50 flower pots as a green initiative at Vadodara railway station. Inauguration of Namma toilet at Bharuch station was also done by Bharuch district MP Mansukhbhai Vasava donated under CSR activity by Oil and Natural Gas Corporation limited Ankleshwar asset. 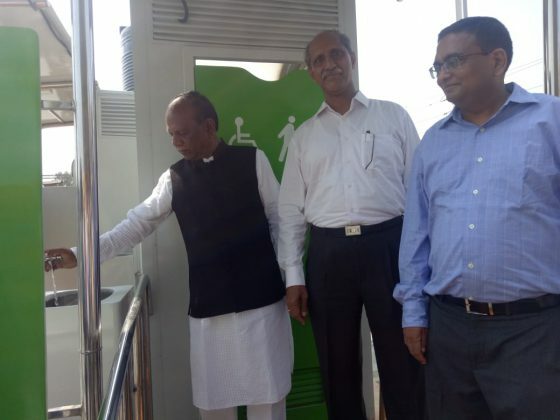 In another programme at Bharuch station MP Mansukh Vasava inaugurated sanitary napkin vending machine donated under CSR activity by NGO Sakhi a project by Vatsalya Foundation at ladies waiting room Bharuch. It followed by Swachhta related awareness program and seminar organised at Bharuch station by Maa Shakti Mahila Charitable Trust. On the theme of Swachhta Hi Sewa , beautiful wall paintings was made by students of MTM girls school, Ankleshwar at Ankleshwar railway station. 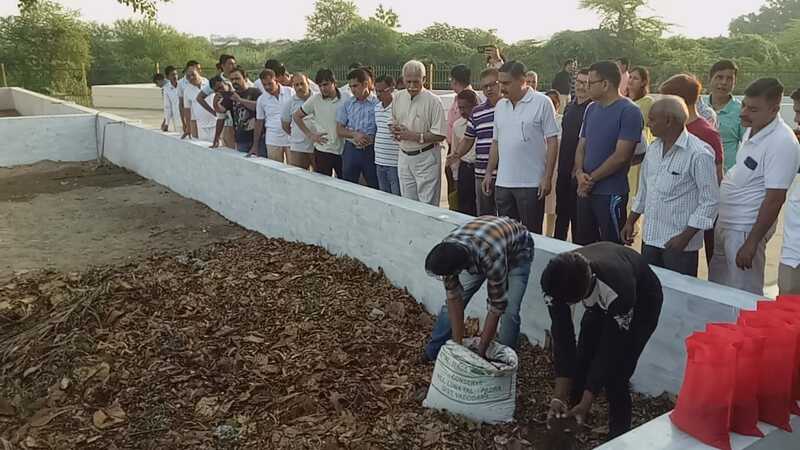 At Nadiad Railway station MP Devusingh Chauhan participated in shraman. Vadodara DRM along with officers and staffs also participated in shramdaan activity with volunteers of Lions Club, Gayatri Jan Samaj Kalyan Seva, Asmita Abhiyan Samiti Bharat Vikas Parishad. At Anand railway station, volunteers of Lions Club Anand did awareness program and seminar for railway staffs and passengers. 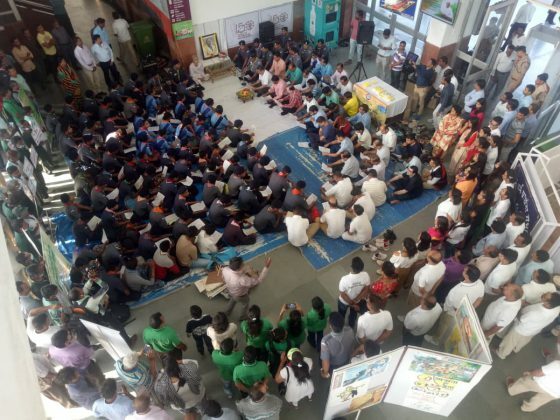 Apart from the activities quotes of Gandhiji , awareness movie release by Western Railway, was displayed through LCD screens and projector screens at Vadodara, Nadiad railway station and other locations.